V-Belt Global Supply, LLC. began operations in Feb. 2009. Based out of Sioux Falls, SD, we are one of the largest online distributors of Industrial belts, Kevlar V-Belts, timing belts, banded belts, metric v-belts, cogged metric belts, kevlar v-belts, Kevlar Wedge Banded Belts, and all other power drive belts. 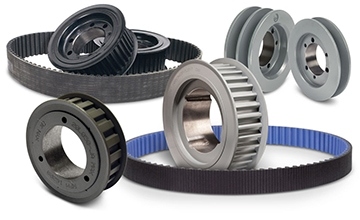 Additionally, V-Belt Global Supply has partnered with TB Woods Industrial and now offers a full line up of v-belt pulleys, sheaves, bushings, and timing sprockets. Our turn-key distribution model and in-house belt brand, MVP Industrial, minimizes the v-belt supply chain, allowing us to offer top quality v-belts and industrial metal products at significantly discounted prices. Share your equipment information with us to receive 20% OFF your next order! Download and print free trouble shooting, preventative maintenance, and belt installation guides.